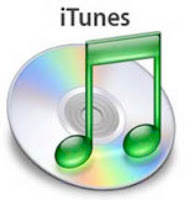 Today, at Macworld, Apple announced that iTunes songs are now DRM (Digital Rights Management) free with songs costing $0.99 cents, $0.69 cents and $1.29. The pricing will also be offered in three tiers now, instead of just one. Out of 10 million songs, 80 per cent are available on the music store from major music labels including Sony BMG, Virgin, Warner music, American Recording without DRM in the store, while the remaining two million songs would be made available by this spring. DRM (Digital Rights Management) technology tries to prevent piracy by placing some restrictions on how the customers may use the music they purchase from their store. Apple's strong FairPlay DRM technology requires a customer to authorize his/her PC to play purchased tracks and they allow only a few computers to be authorized. You can easily upgrade your existing DRMed tracks to DRM-free versions at $0.30 per song while the music videos can be upgraded at $0.60 each. The songs would be high in quality with Apple's DRM-free 256kbps AAC. Not only that folks, Apple also announced that, from today, iTunes music store would also be available over the mobile phone networks via 3G, as well as over Wi-Fi. There would be no additional fee and all DRM-free at 256kbps AAC. All I can say is it's about damn time! in my blogger comment option is no funtioning ..